What Is Required to Become a Pharmacist? What Kind of Degree Do You Need to Become a Pharmacist? You may have heard that being a pharmacist is a stable and well-paying job and wonder what's involved in getting a degree in pharmacy. Here's what to know about exactly what a pharmacist does, what kind of schooling is required, and some pros and cons of the profession. A pharmacist is a medical professional who dispenses drugs to patients according to a prescription ordered by a physician or other clinician. Pharmacists have an in-depth knowledge of the chemistry of various drugs and how they react in humans, and also how drugs interact with each other. Pharmacists must accurately measure and package medicine, ensuring its dosage and safety to be administered properly to a patient. While the pharmacist does not typically select or prescribe the medication, he or she educates the patient on how to take the medication and what reactions or problems to be aware of. What Degree is Required to Become a Pharmacist? Pharmacists graduating from college today are required to have a PharmD or Doctor of Pharmacy degree. College students can start a four-year pharmacy program after successfully completing two years of undergraduate coursework and earning a passing score on the PCAT (Pharmacy College Admission Test). If a student knows early in his or her college career (or even by the end of high school) that they would like to become a pharmacist, one could graduate with a PharmD in about six years. These programs are called "0-6" programs, There are only seven such programs listed on the American Association of Colleges of Pharmacy (AACP) website as of 2018. In addition to the 0-6 programs, there are also early assurance programs and some accelerated programs. Early assurance programs are for selected high school students who enroll and successfully complete the first two years of pre-professional study. They are then guaranteed admission to a four-year pharmacy program. The accelerated pharmacy schools confer a degree after three years instead of the usual four. There are 13 accelerated programs listed on the American Association of Colleges of Pharmacy (AACP) website as of 2018. Many college students do not decide until later in college or after college to become a pharmacist; therefore, some pharmacists end up completing eight years of school. Coursework in pharmacy and pre-pharmacy includes chemistry, physics, biology, anatomy, and physiology. Additionally, PharmD students must complete a series of rotations in a variety of clinical and pharmaceutical settings. The length and quantity of rotations vary, but the average PharmD program requires seven to 10 rotations, each of which is four to six weeks in length. Once licensed, pharmacists can choose from a variety of work settings and types of pharmacist jobs, including retail pharmacies, hospitals, corporations, long-term care facilities and more. Where there is not much variation in salary from one setting to the other, the work schedule and duties vary in each position, and different roles may appeal to different types of personalities. 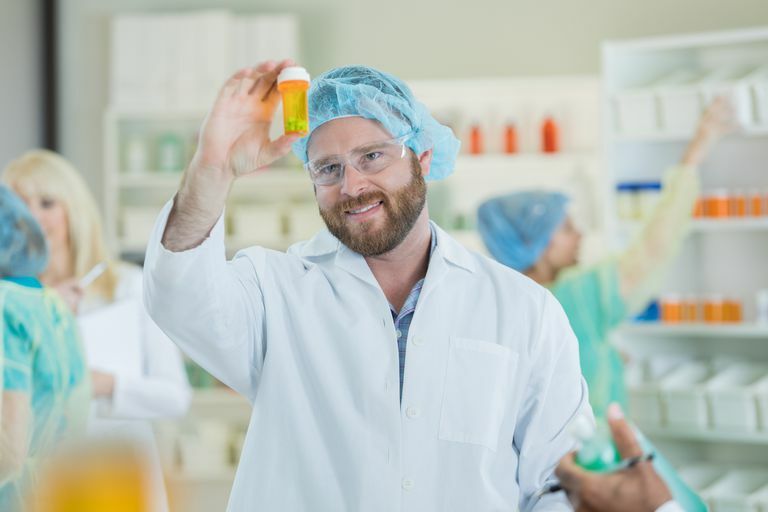 As with all professions, there are upsides and downsides to being a pharmacist, and before you pursue a PharmD, it can be helpful to know some of the pros and cons. Demand is strong for this medical career. Therefore, pharmacists enjoy job security and stability, and availability of jobs in just about any location nationwide. A variety of options and work settings are available for pharmacists as well. Being a pharmacist pays well. According to the Bureau of Labor Statistics, the average annual salary for pharmacists is $120,950, (or $58.15 per hour) as of 2014, the most recent data available as of 2016. Additionally, a signing bonus of $5,000-$15,000 may be offered upon accepting and starting a position. Signing bonuses help keep pharmacists locked into a job for up to three years. As with nursing and some other high-demand medical careers, burnout can be an issue for some pharmacists. While pharmacists earn a strong salary, the annual salary and job description doesn’t change much over the course of a typical pharmacist's career. Once you become a pharmacist, most likely you will be doing the same thing 15 years from now for the same pay, unless you take active strides to change your career type or setting. Pharmacists must stand on their feet all day and the work can be repetitive. Finally, it's extremely important for pharmacists to avoid errors and maintain clean licensure. A single error in dispensing medication can have catastrophic results and damage one's career. What Does It Take to Become an Anesthesiologist? What Does It Take to Become an Orthopedic Surgeon?